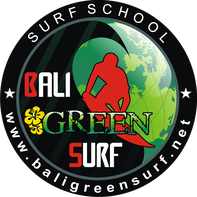 Our Bali Green Surf School Charity Program is a smallscale project that aims to help and improve the living conditions of homeless and orphaned children in Bali. Every month we donate part of our income by providing different orphanages with food, clothes, toys and school supplies. Besides the donations we also try to give the children better job opportunities by teaching them English or educating them about nature and safety. Therefore, we organize a variety of activities with the children every Sunday, such as study help, beach clean ups or surf lessons. Furthermore, we try to create awareness and collect donations for the orphanages by organizing events such as parties, surf contests or beach games. With the weekly activities we try to support the kids from the orphanage in Denpasar. However, the donations go to different orphanages around the island, from Denpasar to Lovina. That way we try to make sure to help wherever help is needed. If you would like to volunteer at our surf school, join the handing over of the donations or participate in any way, you are more than welcome. For second hand clothes, school supplies or any other donations, please contact us, the orphanages are happy to receive your support. Contact us here!